Fighting Tiger - Liberal is a 3D combat game where you will control a gang member who has to fight against all of the members of his gang when he decides to leave the gang. The game mechanics in Fighting Tiger - Liberal will remind you of classic games for PlayStation One like Fighting Force. Players can move freely through 3D scenes as they fight against lots of different enemies, who will appear from all over. In order to defend yourself, there are a ton of hits, movements and special attacks available in Fighting Tiger - Liberal. These include grabs, super stabbing attacks or spinning kicks. In addition, some enemies will use weapons that you can steal from them, including baseball bats, sticks, knifes, etc. 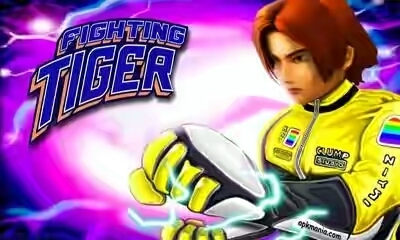 Visually speaking, Fighting Tiger - Liberal will also remind you of a PlayStation One game. The characters and scenes are perfectly recreated in 3D, though the graphics could definitely be better. Stay Tuned For More Updates Or Subscribe To Get More Updates From This Site And Also Help To Share.